GQRX: GQRX is a software defined radio receiver for Funcube Dongle (FCD), RTL2832U-based DVB-T devices (RTL-SDR), Universal Software Radio Peripherals (USRP) and Osmo SDR devices. It is powered by GNU Radio and the Qt GUI toolkit. HDSDR: HDSDR is a freeware Software Defined Radio (SDR) program for Microsoft Windows 2000/XP/Vista/7. Typical applications are Radio listening, Ham Radio, SWL, Radio Astronomy, NDB-hunting and Spectrum analysis. HDSDR (former WinradHD) is an advanced version of Winrad, written by Alberto di Bene (I2PHD). One can also tune the frequentie with HDSDR but then you’ll need ExtIO_FCD_G0MJW library. 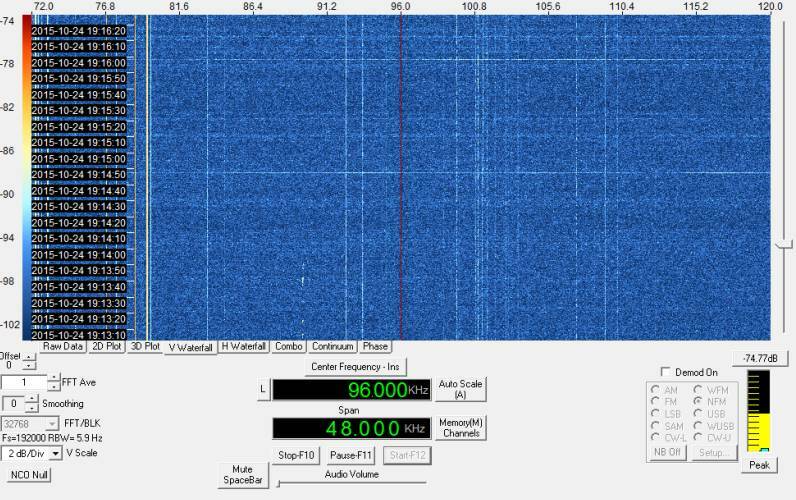 Download it from the internet and place it in the HDSDR directory. 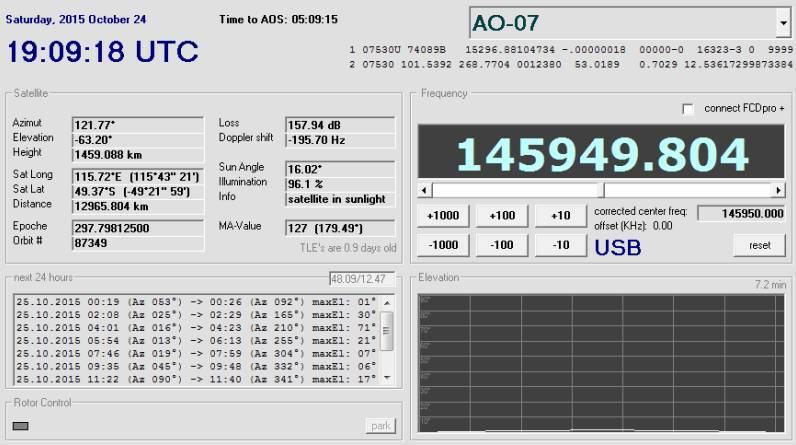 SATCONTROL_FCD: SATCONTROL_FCD software made by DK3WN controls the radio frequency (Doppler correction) of the by AMSAT-UK developed FunCub dongle. The Windows front-end software FCHid.exe is no longer necessary. After selecting the appropriate satellite, the current Doppler correction is computed (500 ms interval). This can be to enable through the checkbox above the frequency display. The configuration file must be adjusted accordingly sat.ini (own locator, the path amateur.txt TLE file) and the doppler.sql File (SatPC32 format). It is important that the ExtIO_FCD_G0MJW.dll is in the same directory as the program. SDR-RADIO: SDR-RADIO.com is a Windows console for SDR receivers and transceivers. Designed for the commercial, amateur radio and short-wave listener communities, the console provides a powerful interface for all SDR users. The software is being continually developed with new features added on a regular basis. Currently there is a beta version that also supports the Funcube dongle. The beta version can also be used for satellite tracking. 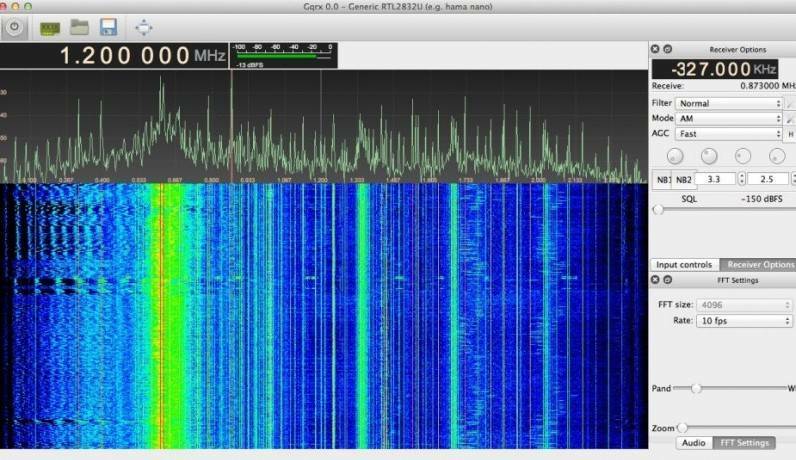 SpectraVue: SpectraVue is A Windows based Spectral Analysis/Receiver Program primarily used with the SDR-IQ, SDR-14 , SDR-IP, NetSDR, RF capturing hardware(http://www.rfspace.com) but can also be used to analyze soundcard (Funcube dongle) and wave file inputs. This program is especially suitable for further analysis of your received signals.